Compassion Sculpture in Sherman Park. Photo from the City of Milwaukee. The Sherman Park area comprises the neighborhoods of Sherman Park, Grasslyn Manor, Roosevelt Grove, Sunset Heights, St. Joseph’s, and Uptown—an area bounded by 27th St. and 60th St. from North Ave. to Capitol Dr. From this area came families and individuals that would make major contributions to Milwaukee and Wisconsin. The Bronzeville community had been home to the ancestors of many key players in the current Sherman Park neighborhoods. The community that would later be called Bronzeville by many residents was located in an area between downtown Milwaukee and North Avenue and roughly 3rd to 12th Streets. The area had first been home to a large segment of Milwaukee’s German community. By 1910, a 10,000-strong population of Jewish immigrants from Eastern Europe had settled in the area. Within a few years, African Americans from the American South began their Great Migration north in response to workforce needs in mainly urban centers. By the 1950s, the black population in Bronzeville was nearly 50,000. Many of the German, Jewish and black Milwaukeeans from Bronzeville would over time move west into the Sherman Park neighborhood. Two institutions that would later be critical to the stability of Sherman Park’s neighborhoods were founded in the Bronzeville area. The Wheaton Franciscan Hospital—St. Joseph Campus had its roots in a little house on Walnut Street and built its first hospital on 4th and Reservoir. The second institution is Beth Jehudah synagogue, which began on 11th and North Avenue during the Great Depression and stayed until the 1950s. Both institutions are today in the Sherman Park area in the St. Joseph’s neighborhood. Many of the important families in Sherman Park lived in or had close relatives in the Bronzeville area before migrating northwest. Included among them were two dynasty families that would later be critical to the development of Sherman Park. Twerski family. The Twerskis were one dynasty family in the area and possibly the closest thing Milwaukee ever had to Jewish royalty. Jacob Twerski came to America in 1927 from a small town outside of Kiev and founded the Beth Jehudah synagogue on North Avenue. He was descended from the line of the founder of the Chasidic movement, Rabbi Yisroel ben Eliezer, known as the Baal Shem Tov. Chasidism arose as a spiritual revival movement in Eastern Europe during the 1700s and quickly spread throughout much of Europe and the world. Members are organized by independent dynasties, each headed by its own hereditary leader. Chasidism adheres closely to Orthodox Jewish practices, with an emphasis on joy and mysticism. Beth Jehudah Synagogue. Photo courtesy of Urban Anthropology Inc.
As one of these hereditary leaders, Rabbi Jacob Twerski soon attracted a city-wide following. He earned the reputation as a peacemaker and the person that people turned to in times of crisis for advice and direction. According to his descendants, Milwaukee judges at times turned to the rabbi to settle cases, sometimes even when they didn’t involve Jews. 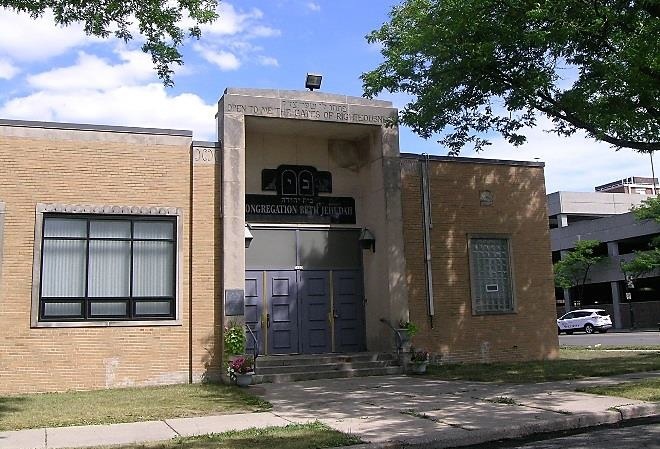 Under Twerski, Beth Jehudah moved from the Bronzeville area in 1952, and opened a new synagogue at 54th and Center Streets, where his son Michel Twerski assumed leadership. The congregation then moved to its current home at 3100 North 52nd Street. Following Rabbi Michel Twerski was his son, Rabbi Benzion Twerski. Both have been residents of the Sherman Park area. Coggs family. The Coggs were another dynasty family and have held many offices in Milwaukee politics, including Milwaukee City Treasurer Spencer Coggs; 6th District Alderwoman Milele Coggs; former County Supervisor Elizabeth Coggs-Jones; and three former state representative: Isaac Newton Coggs, his wife Marcia Coggs and their nephew, Leon Young. There was another activist branch of the Coggs family that did not run for political office but played important roles in civil rights. Theodore Coggs and his wife Pauline (nee Redmond) Coggs moved from Bronzeville to 3600 N. 49th Street in the Sherman Park area after their former neighborhood was razed by urban renewal and freeway building. Theodore was born in Oklahoma in 1916 to parents Reverend Isaac and Buela Coggs. His family later migrated north with the Great Migration to Wisconsin where he graduated from law school at UW-Madison and served in the military in World War II. Pauline Coggs. Photo courtesy of Urban Anthropology Inc.
Pauline was born in Kentucky in 1914 to parents J.B. and Josephine Redmond. 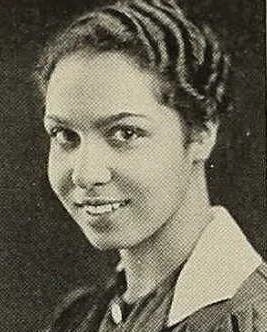 The family also moved north during the Great Migration and Pauline graduated from the prestigious University of Chicago in 1934 (see her 1934 University of Chicago yearbook graduation photo to right). Sometime during the late 1940s she met and married Theodore. They had one son. The couple joined Theodore’s family in Bronzeville and set up a law office on the corner of 7th and Walnut Street, where they remained until the area was cleared. During his career, Theodore Coggs tried cases that went all the way to the Wisconsin Supreme Court. Both Theodore and Pauline served on numerous high profile committees involving community issues and civil rights. Theodore served on the Governor’s Commission on Human Rights and defended African Americans under the state civil rights statute in the decades prior to the Civil Rights Movement of the 1960s. Pauline had an educational foundation set up in her honor that continues to provide scholarships to deserving young women. For more information on the Bronzeville roots of Sherman Park, see the Urban Anthropology documentary. Established in 1911, Washington High School is one of the oldest schools in the Milwaukee Public Schools system and has been a key institution in Sherman Park. It received a reputation early as an institution of academic excellence. Below are some of its graduates—all making positive contributions to wider communities. Lee Sherman Dreyfus attended Washington High School in the early 1940s. He grew up at 3629 North 39th Street. Dreyfus was the grandson of German immigrants. His paternal grandparents, Otto and Lillie (nee Troegel) Dreyfus, had run a tavern on Milwaukee’s South Side in the old 11th Ward. Lee’s parents, Woods Orlow and Clare (nee Bluett) Dreyfus later moved north into the Sherman Park area. The parents were very active in the community. Clare served for 25 years on the Milwaukee School Board. Woods Orlow became an on-air host for WISN radio, offering young Lee the chance to act and sing on the station. Lee Dreyfus would emulate both the political and entertainment interests of his parents. After high school he served in the U.S. Navy, then used the GI Bill to attend UW-Madison and Wayne State University. At Wayne State, he became the general manager of their radio station and then returned to Madison as manager of WHA-TV and professor of speech and broadcasting. His colorful nature would attract national attention when he became president of the Wisconsin State University-Stevens Point (later UW-Stevens Point) in 1972. In order to be easily recognized and accessible to students, he wore a red vest. The media often followed Dreyfus as he interacted with students during campus unrest at the height of the Viet Nam War. Gene Wilder. Photo is in the Public Domain. Born Jerome Silberman, the future Hollywood star attended Washington High School in the late 1940s to early 1950s. Sometime in the 1930s the Silberman family moved from a rented unit on North 56th Street to another rented unit at 3210 North 44th in Sherman Park. Jerome, the son of William and Jeanne Silberman, Jewish immigrants from Russia, took an early interest in acting when he saw his older sister Corrinne perform in a play. His mother, hoping to advance Jerome’s aspirations, sent him to Black-Foxe, a military institute in Hollywood. According to his later writings, as the only Jewish student at the school, Jerome was bullied and sexually assaulted. This may have been one reason why the youth later began using the more Gentile-sounding moniker of Gene Wilder as his stage name. Jerome quickly left Black-Foxe, returned to Sherman Park and Washington High School. While there, he got involved in local theater companies. He graduated in 1951 and moved on to college. 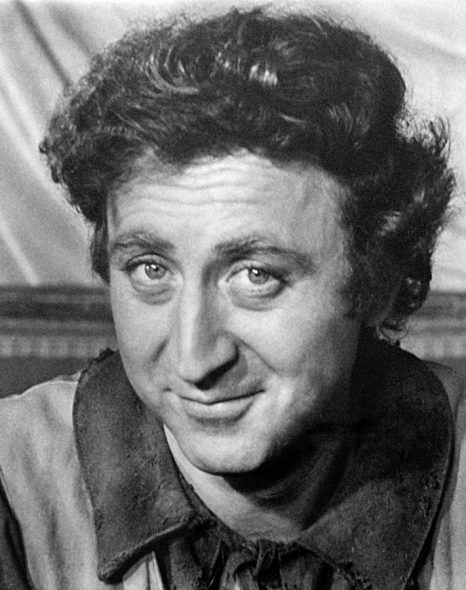 Gene Wilder began his acting career on the stage and then progressed to television. His first major film role was in The Producers, for which he received an Academy Award nomination for Best Supporting Actor. He later starred in and co-wrote Young Frankenstein and Blazing Saddles for which he received multiple Academy Award nominations, including for Best Adapted Screenplay. Wilder is perhaps best known for his role in Willy Wonka & the Chocolate Factory. He also directed several films. Besides his career in the entertainment industry, Wilder became a philanthropist. When his third wife, Gilda Radner, died of ovarian cancer, he helped found the Gilda Radner Ovarian Cancer Detection Center in Los Angeles and co-founded Gilda’s Club, a series of cancer support centers throughout the U.S., including branches in Milwaukee and Madison. 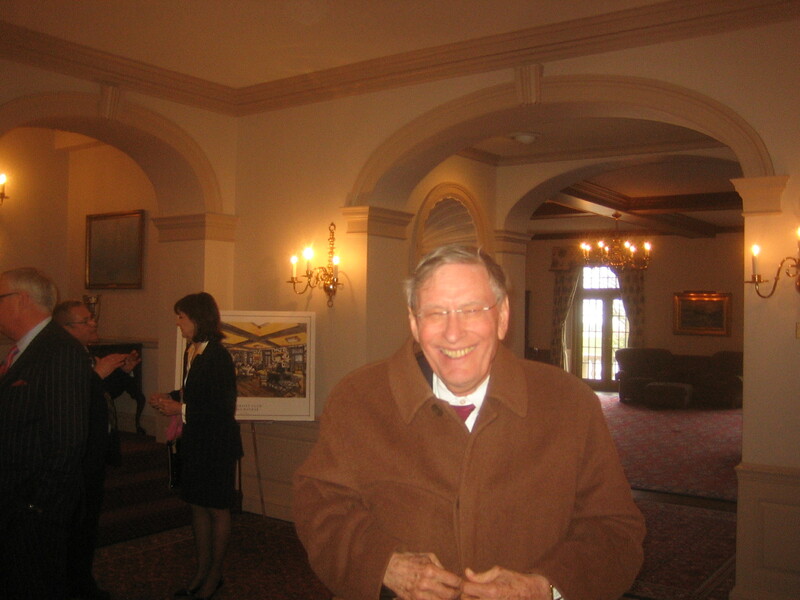 Allan Huber “Bud” Selig was Jerome Silberman’s classmate. The Seligs lived on North 61st Street near Center, on the border of the Sherman Park area. He and his brother Joseph were raised by their father Benjamin Selig, an immigrant from Romania, and mother Marie Selig, an immigrant from the Ukraine. At an early age, Bud took an interest in baseball. His interest was prompted by his college-educated mother who took him and his brother to games of the minor league Milwaukee Brewers at Borchert Field. After graduating from UW-Madison with a degree in political science and American history, Selig joined his father Benjamin in the family’s car leasing enterprise. The business was successful enough to allow Bud to become a minority owner of the Milwaukee Braves. In 1964, when Selig learned the team’s major owners were relocating the Braves to Atlanta, he divested his stock. Insistent on returning baseball to his hometown, he and a group of local owners he recruited purchased the Seattle Pilots in bankruptcy court in 1970 and renamed them the Milwaukee Brewers, after his beloved minor league team. Under his tenure, the Brewers went on to the World Series in 1982 and built a new stadium, Miller Park. Selig also became acting Commissioner of Baseball, in 1992, and in 1998 took on the position full-time, becoming the ninth commissioner in history. Around the same time his family sold the Milwaukee Brewers. Under his leadership as commissioner, major league baseball experienced (1) a 400 percent increase in revenue and annual record-breaking attendance, (2) the introduction of the wild card, interleague play, and (3) enforcement of ethical prohibitions including gambling on games and the use of steroids and other performance-enhancing drugs. He was inducted into the Baseball Hall of Fame in 2017. 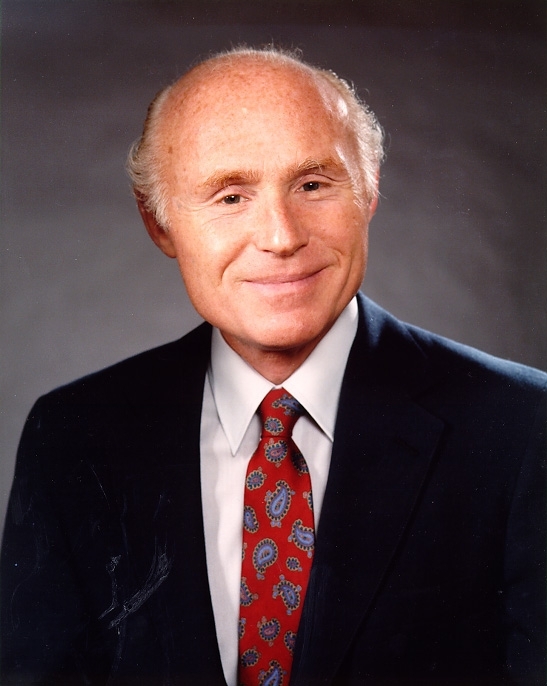 Herb Kohl was a classmate of both Selig and Jerome Silberman. Sometime in the 1930s, Max and Mary (nee Hiken) Kohl moved from Clement Avenue in Bay View to a newly purchased home in the Sunset Heights/Sherman Park neighborhood. Their house, at 3259 North 51st Street, was valued at $1,500, a modest price even by Great Depression standards. Max was a Jewish immigrant from Poland and Mary a Jewish immigrant from Russia. Although Max had only completed the 7th grade, he proved to be an aggressive entrepreneur. He’d already opened a grocery store in Bay View and was on his way to opening several more. The couple’s children all eventually played roles in the Kohl business, which over the years expanded to 50 grocery stores, as well as several department stores, pharmacies, and liquor stores. But the child that grew to the greatest heights in terms of service to Milwaukee and Wisconsin was Herbert Kohl. Having earned a bachelor’s degree from the UW-Madison in 1956 (where he roomed with Bud Selig) and an MBA from Harvard Business School in 1958, Herb Kohl rose to the office of president of Kohl’s. Some years after selling the Kohl’s empire in 1979, Herb sought a new career in politics. He ran for and was elected to the U.S. Senate in 1989, where he served until 2013 when he did not seek re-election. But Herb Kohl had already been heeding another calling. Following the example of his old friend Bud Selig, Kohl purchased the Milwaukee Bucks of the NBA in 1985. One of the goals of the purchase was to ensure the team remained in Milwaukee. In 2014, Kohl sold the bucks to Wesley Edens and Marc Lasry, negotiating a deal that included a new arena and would again ensure the team’s tenure in Milwaukee. The Sherman Park area became the site of urban unrest in August 2016, following the police shooting of Sylville Smith. Since then the emphasis has been on healing the neighborhood. Perhaps a look back at the neighborhood’s history can be be a helpful part of this process. 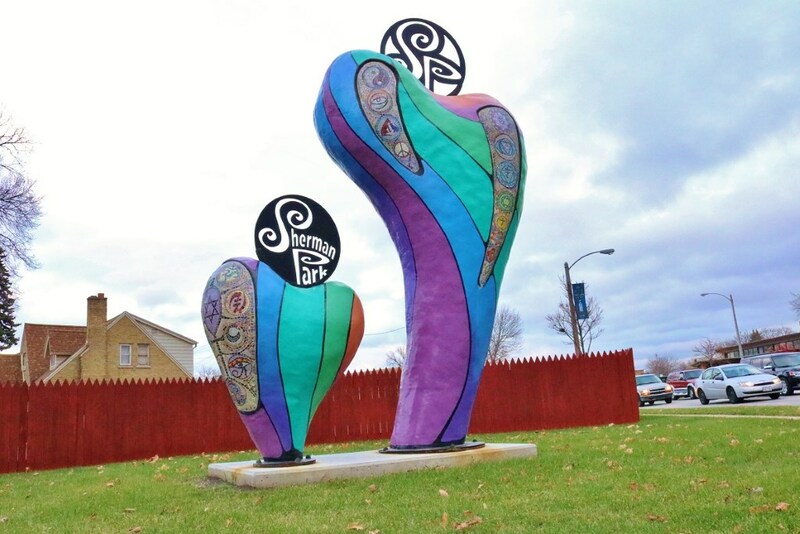 Sherman Park has been a melting pot that became home to so many Milwaukeeans and help build the city. The diverse Sherman Park residents highlighted above were people who not only made successes of their own lives, but went beyond their personal, familial, and parochial goals to act on behalf of wider communities. Is there anything about the past that can inform and help heal the future? For more information about the people and history of the Sherman Park neighborhood, go to Urban Anthropology’s oral history of the area. I believe the childhood street for Bud S Selig was the 3200 block of 52nd St. Not 6 1st as noted in the article.